Chicas Latinas’ Estrella del Mes: Julio/Star of the Month: July! Chicas Latinas de Sacramento has existed in the Sacramento community for nine years, thanks to the hard work and dedication of many amazing individuals. To celebrate Sacramento’s leaders, and our behind-the-scenes (s)heroes, we’re thrilled to highlight and introduce to the community our shining star for the month of Julio/July! Kenya Corona – Director of Member Relations at the Greater Dallas Hispanic Chamber of Commerce, and prior member of Chicas Latinas de Sacramento. 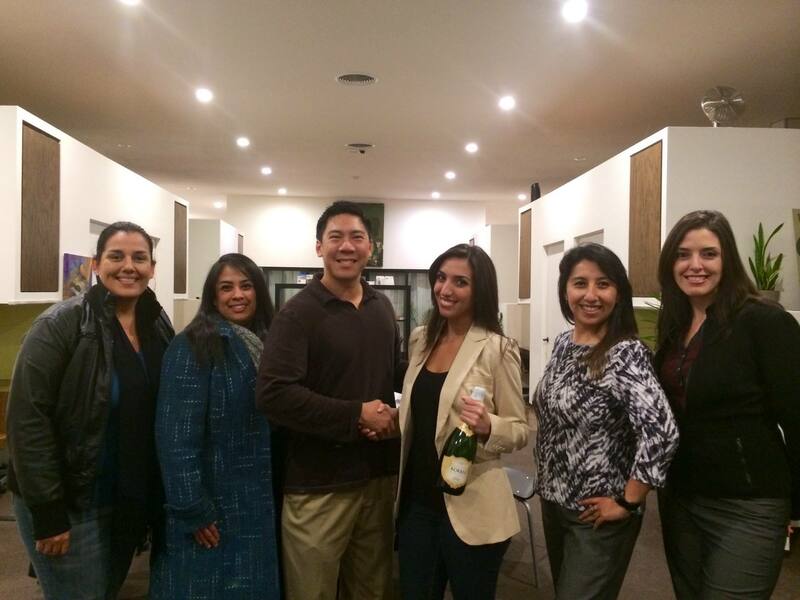 I joined Chicas in 2014 [when I was a full-time business marketing major at California State University, Sacramento]. When I first moved to Sacramento I was longing to meet a community of likeminded Latinas who shared a passion for serving, which is exactly what I found in the group. I love how open the group is to new ideas that can impact our community. I truly believe I have amigas por vida [friends for life] from the friendships I’ve developed with the chicas. I would love to see Chicas Latinas expand to other cities. Chicas celebrating Chicas Latinas’ 5-year Anniversary at Zocalo restaurant in Sacramento, CA. Coming from Los Angeles, I was shocked at how multiethnic Sacramento is — I truly love that! As the years have gone by, I continue to see a diverse community and I hope for this same type of representation in Sacramento’s leadership. And, of course, I love the trees! Chicas supporting the California Latino Capitol Association mixer, which provides support, a positive community for Capitol staff, and advocates for more than four decades! (Kenya Corona and Angela Rosas). What is the most fun/memorable experience since volunteering with Chicas? Hands down the annual shoe-drive! I love all aspects of this event: from fundraising to the shopping, to the day of the event. Last year, two weeks from the distribution day, we had not reached our fundraising goal and came to the devastating conclusion that we would not be able to give every child at the school a new pair of shoes. However, we all came together as a group determined to do whatever we had to do. We reached out to every person we knew and were on the mission to find the best deals on shoes! Well, to everyone’s surprise, not only did we reach our goal, but we surpassed it! It’s amazing to see how these well deserving kids’ face light up from something so basic as a pair of shoes. Assisting a child trying on a new pair of shoes at a previous annual shoe drive. Kenya demonstrating her public speaking skills during an interview with a local news station. I absolutely love traveling, movies, and working out. I recently purchased a sewing machine, because as a petite woman, I constantly have issues finding clothes that fit perfectly, so I decided to try to make my own — wish me luck! Chicas Latinas’ first Zumba shoe drive: promoting health and fitness while raising funds for a prior shoe drive. One of my favorite mottos to live by is “Experiences over Things.” Many of us get so caught up living for temporary things instead of investing our time and resources into experiences that create lasting memories and stories to share. Who is your favorite person to follow on social media? Why? Right now, my favorite person to follow is Will Smith. He is the familiar face that many of us remember so vividly from our childhood watching the Fresh Prince of BelAir; he has super creative content, is inspirational, and I can’t get enough of his goofy, charismatic charm. If you aren’t following him, go do it now! Ah, this is a tough question because every place I’ve traveled to has a special place in my heart. When I travel I love to immerse myself in the culture, dine with the locals, learn the history, and of course, enjoy the scenery. Every place I’ve been is memorable. I’m currently looking forward to my trip to Colombia this week! 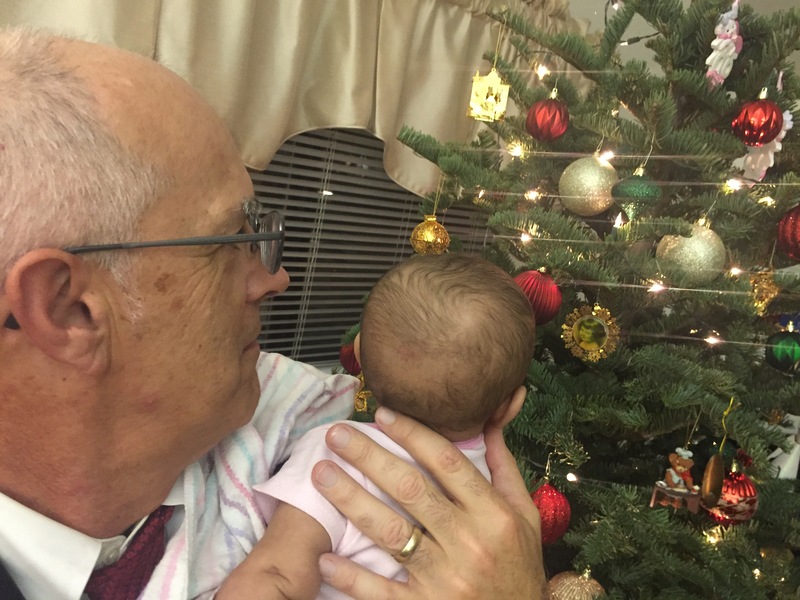 What’s your most favorite family tradition? Would you consider getting a phone call from your mami every day a family tradition? Haha! Yea, let’s call it a family tradition. No matter how old I get, or how far, or close I live, I can always count on her phone call; it used to bug me when I was younger, but now, I look forward to hearing her voice. Walking into June feeling proud of ALL Los Hombres de Las Chicas who walked in HIGH HEELS to raise awareness and much-needed funds for WEAVE, Inc. We extend many, many thanks to YOU, especially to Noah Lennon and his Sacramento Republic FC crew for participation in the high-heeled hilarity of Walk a Mile in Her Shoes! We look forward to seeing you ALL next year, along with some new man friends. 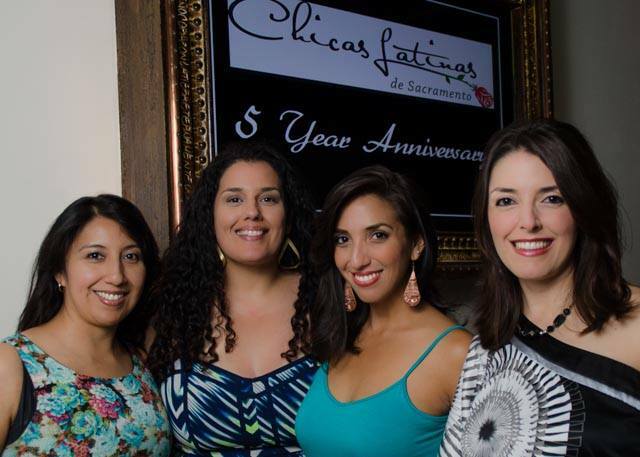 Chicas Latinas celebrated its 9-year Anniversary during the happiest hour (happy hour)! We enjoyed sharing sparkling champagne with many wonderful chicas y chicos! Thank you for your company, laughter, and memories! And, we are excited to start planning next year’s celebration for our 10-year Anniversary, which should be even bigger and better! We have some great fundraiser and donation drive events coming together this summer, such as the annual Sac Republic FC soccer event on Saturday, Aug. 4! The price is $20 per ticket and is sure to sell out FAST! So grab yours while you can! June 11: Programs & Events Committee Mtg. Chicas Latinas is linked to #amazonsmile! Shop at smile.amazon.com and Amazon will donate 0.5% of the price of your eligible AmazonSmile purchases to Chicas Latinas De Sacramento!